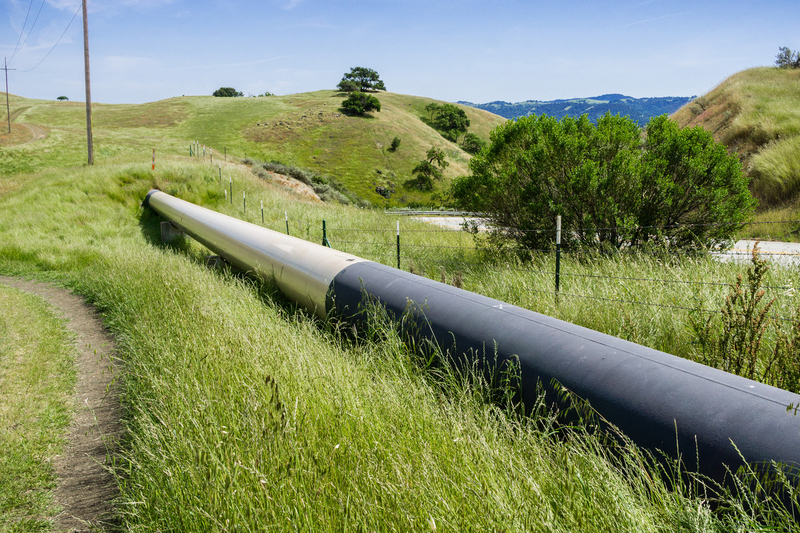 More than 2.5 million miles of natural gas, liquid petroleum and hydrogen pipelines cross the United States. This infrastructure is critical to our energy needs and to our economy, but both can be undermined by pipeline failures. NIST materials data and testing help engineers design pipelines that are safer and more cost-efficient. NIST research and data are supporting new pipeline standards and codes that will benefit industry while minimizing the risk of pipeline failures that pose a risk to humans and the environment. NIST’s unique laboratories measure steel properties in ways that mimic actual service situations such as mechanical fatigue in a high-pressure hydrogen gas environment. The data are fed into computer models that predict how new, stronger steels behave under various conditions, paving the way for the safe use of thinner-walled pipes that are more cost-effective than pipes made of older steel. The stronger steel means that pipelines can be larger in diameter and move hydrogen at higher pressures, so more hydrogen can be transported faster and safer. NIST tests on hydrogen-transporting pipes led to a code change that allowed pipeline owners to switch to the thinner-walled pipes without increased cost. The NIST research could also reduce the need for expensive, full-scale pipe bursting tests with laboratory-scale test methods that will significantly reduce costs for U.S. companies. NIST research is also being used to revise codes for pipes carrying petroleum and gases and to help energy firms assess vintage pipelines.